This lovely young girl wanted a more feminine nose. She disliked the curved profile and her tip droop. Additionally she wanted a narrower bridge and tip. 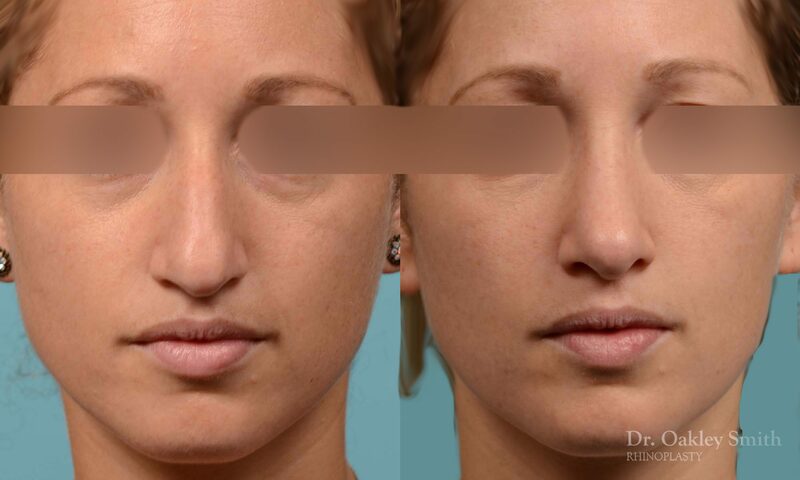 Her skin was thick and this unfortunately limits the degree of change obtainable through rhinoplasty surgery. 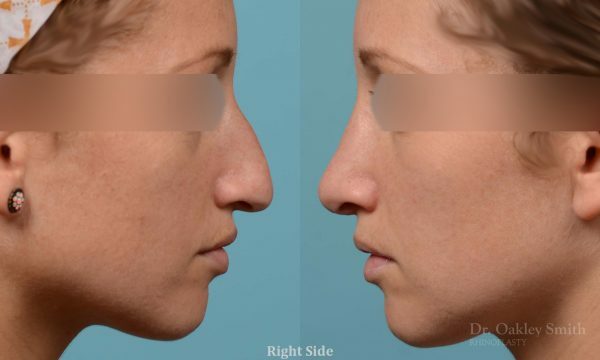 After extensive research, she realized she would likely get an improved, but not ideal, nose after rhinoplasty surgery. At the time of rhinoplasty surgery, her tip cartilages were dropped back by 1mm. 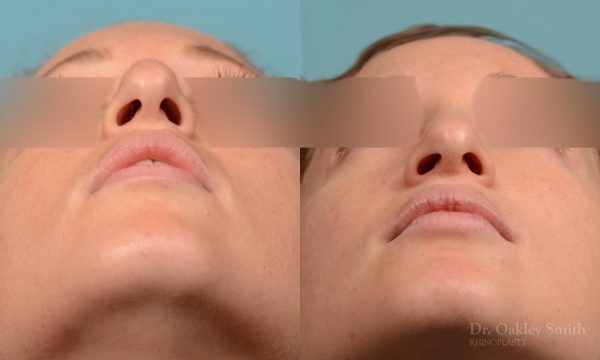 Her tip was rotated upwards and her skin was de-fatted. All of this initially caused considerable swelling and injections were started early (at three weeks post-surgery) to reduce overall swelling. She also developed a small stitch abscess, which resolved once the suture was removed. 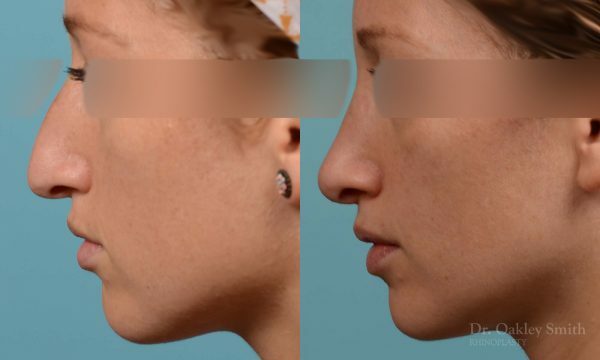 Her nose remained wider than desired for many months after rhinoplasty. Several injections were used to help reduce this. It took over a year for the shape of her nose to contract, such that a pleasing and improved appearance was realized. 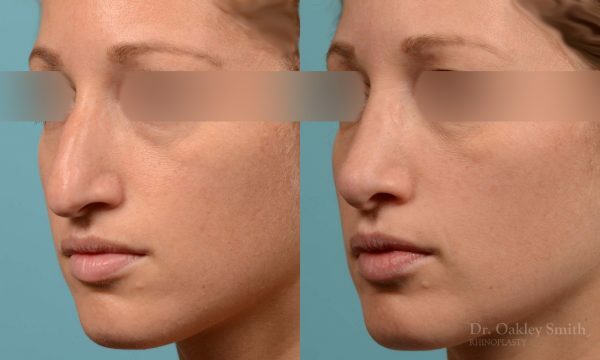 It is important to remember that changes to the nose occur even after surgery is done. 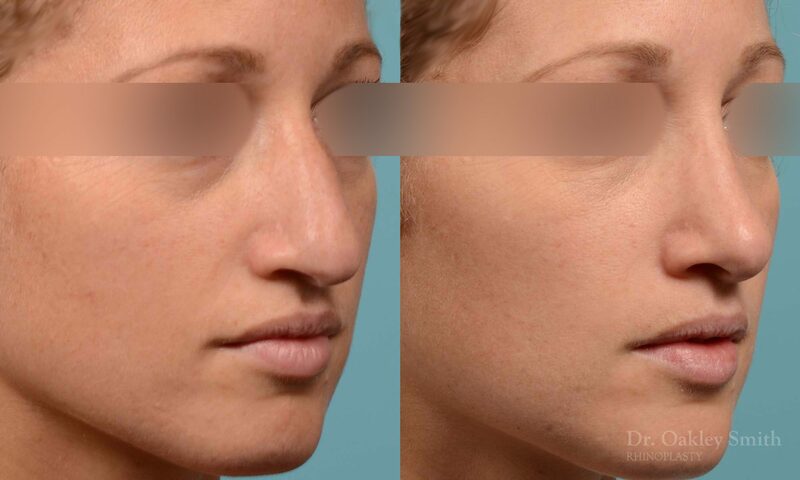 These changes can occur for months, and not until the nose is fully healed will the appearance of the new nose be evident. Rhinoplasty before and after photos for Dr. Oakley Smith.